Home » How Do Roof Leaks Affect Your Comfort and Home’s Efficiency? When people talk about roof leaks, most people just think about the mess they make and the inconvenience of having a roof fixed. However, leaks also have an effect on indoor comfort and energy efficiency. Our roofing experts at Signature Exteriors have a brief explanation of how this happens. Roof leaks cause damage to the ceiling, but it’s when the moisture reaches the insulation that your home’s energy efficiency and comfort start taking a hit. Insulation can get corroded and lose its effectiveness due to moisture damage, thus increasing the load on your HVAC and causing inconsistency in indoor air temperature. A leak-free roofing system will prevent your home from becoming too humid. When leaks start forming, the moisture from the leak as well as extra humidity seeping from drafts (due to damaged insulation) can affect the indoor air quality. Furthermore, increased humidity will necessitate the use of humidifiers, which will require even more energy. Humidity and inconsistent temperatures can encourage the growth of mold and mildew indoors. Apart from becoming a health risk (especially for inhabitants with respiratory illnesses), the spores can also accumulate within electrical devices, particularly HVAC units, potentially rendering it inefficient if not completely malfunctioning. Roof leaks can be difficult to trace (let alone fix), so home improvement experts recommend leaving the work to certified roofing contractors like us. This ensures that the people looking into the problem have the necessary skills, gear and experience to make sure that fixes (or replacements) are done properly and unlikely to lead to further problems later on. Learn more about how to protect your home from roof leaks! 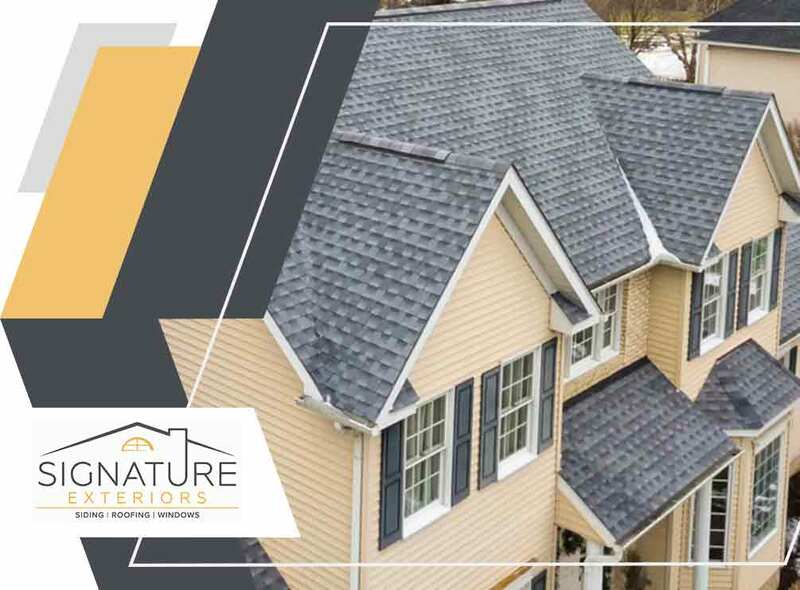 Signature Exteriors is the most trusted roofing company in White Plains, NY and Fairfield, CT. You can call us at (866) 244-8029 or fill out this contact form to request an estimate.